Foremost 4 Media is a London-based company focusing on the needs of audience and clients in China and Europe. 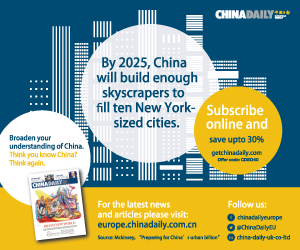 Multi-cultural, multi-lingual, and multi-media, Foremost 4 Media serves as a bridge between Chinese and European businesses, cultures, media and societies. 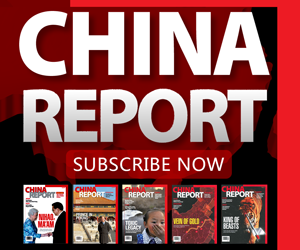 China Report – the leading monthly magazine in the UK on Chinese affairs, with objective reports from China and Europe, original analyses and expert views, to chart the growing reach of the Chinese economy and culture, and to provide strategic insights for leaders and executives. The magazine is available in selected WHSmith Travel stores across Great Britain and newsagents in London. App editions are also available via pocketmags.com. Market Research – with access to experts and contributors across the provinces in China and many parts of the world, we can provide information on geographic areas and sectors to enable clients in their strategic decision-making. Our clients include News Agencies and businesses looking to expand into a new market. Events – we have successfully organised events such as the UK-China Media Forum under the auspices of China News Service and Global Times. Brand Promotion – With experts and resources in London, Beijing and Shanghai, we are helping our clients to enhance their brand value and extend reach across the continents. Bilingual Personnel and Services – Our pool of talents are ready to help customers from both Europe and China to deal with difficulties brought about by cultural differences as well as strategic challenges. We pride ourselves in the quality of service and project execution for clients both in Europe and China.